The Give Where You Live Foundation has today announced GeelongPort as the 100th local business to sign the innovative and unique GROW (G21 Region Opportunities for Work) Compact. Developed and launched by local organisations, G21 – Geelong Region Alliance and Give Where You Live Foundation, the GROW initiative is working to generate sustainable jobs in areas that have high rates of unemployment. GROW relies upon local businesses signing a compact and working collectively to address areas that have been identified as having conditions of persistent and entrenched disadvantage. GROW is now implemented by the Give Where You Live Foundation and has reported significant results over the past two years. “Over the last two years GROW compact signatories have managed to shift in excess of $40M of non-local procurement to local suppliers. This procurement shift has created hundreds of jobs but the signatories have also created 138 specific jobs for people from our targeted communities” says Give Where You Live CEO, Bill Mithen. As reported recently, the GROW target communities of Norlane, Corio, Whittington and parts of Colac all have higher than average levels of unemployment. In Norlane the unemployment rate is as high as 20%. As the 100th local business to join the GROW compact, GeelongPort is excited about what it can do to help and are proud of the programs it has already put in place. 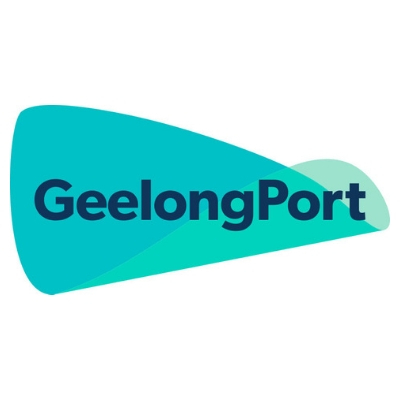 “GeelongPort is an important contributor to the local and regional economy, but we are also focused on how we can assist the region in other ways” said GeelongPort CEO, Brett Winter. “We have recently re-launched our apprenticeship program and have already employed two apprentices partnering with local employment solutions provider, G-Force. We know that we can help change young people’s lives by providing them secure employment and developing their skills in their respective trades. We’re looking forward to working with the GROW initiative to further help and develop the northern suburbs of Geelong”. Like the other 99 signatory organisations, GeelongPort will now commence the process of developing their own GROW Compact Action Plan. The GROW initiative supports partners to develop new business practices or change existing ones to benefit community members living in local targeted areas of disadvantage. The GROW initiative has been so successfully implemented in the G21 Region that the Victorian State Government has now funded four other regions to develop their own GROW initiatives. Ballarat, Shepparton, the Latrobe Valley and Bendigo have all recently received funding to develop and implement their own local GROW initiative. The Give Where You Live Foundation will be supporting this roll out of GROW by co-ordinating a state-wide network of GROW initiatives. Give Where You Live Foundation CEO Bill Mithen says this is great compliment to the Foundation and G21. “We are very pleased with the results that GROW has been able to achieve so far. However, we know there is a great deal more work to do but feel proud that the Victorian State Government has seen fit to use our model elsewhere. We’re looking forward to working with, and supporting the other regions in developing GROW and pursuing a common purpose of addressing disadvantage”.